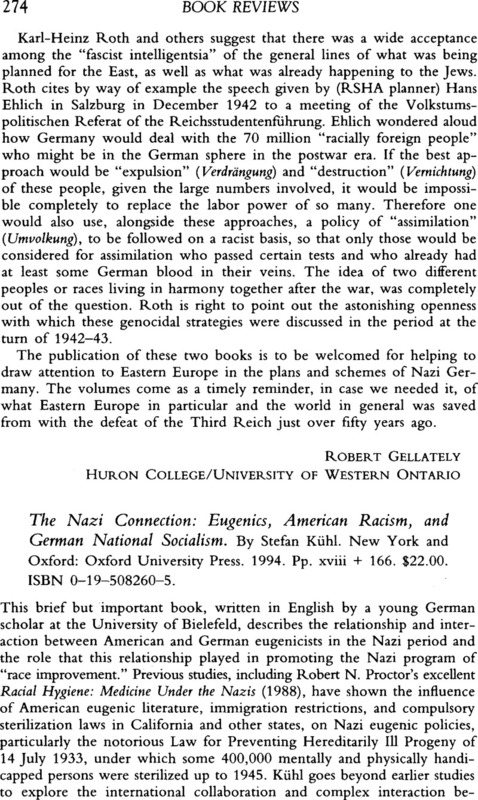 The Nazi Connection: Eugenics, American Racism, and German National Socialism. By Stefan Kühl. New York and Oxford: Oxford University Press, 1994. Pp. xviii + 166. $22.00. ISBN 0-19-508260-5.